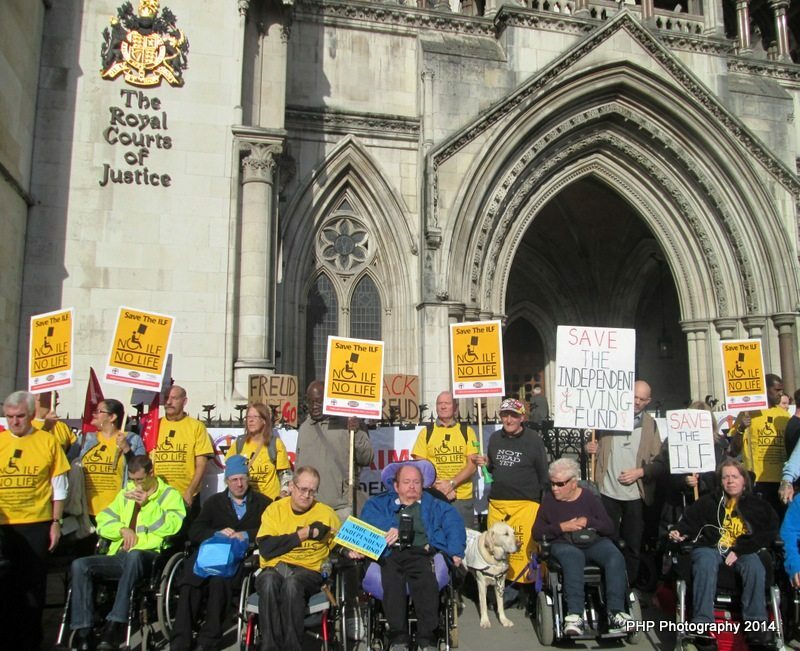 The outcome of the PIP legal challenge against the changes to who qualifies for Mobility component which will affect people with a MH condition is due to be handed down this week – either tomorrow or Thursday and there are a number of press people interested in reporting on it. However they want to speak to someone who will also be affected therefore I wondered whether any of you feel able to speak to them if needed about your own situation. If you would be willing to please could you email us at mail@dpac.uk.net with your contact phone number. 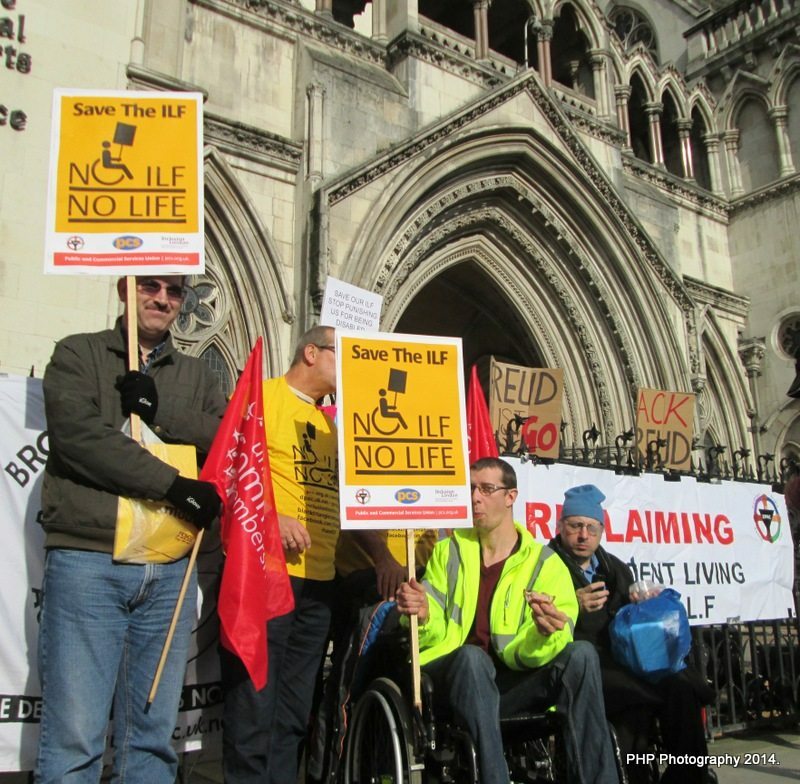 From next Monday (3rd April) new WRAG claimants will receive £73.10 a week – the same as jobseekers’ allowance (JSA) claimants – rather than £102.15 a week as is currently the case (those in the support group are unaffected). This change will not create immediate losses of benefit income, because only new recipients are affected. Ultimately though, of course, all claims will be assessed under the new less generous rules. 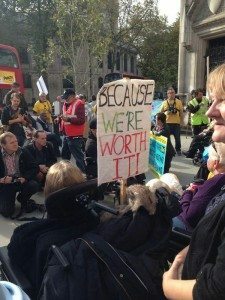 To give a sense of how quickly this will cut the generosity of benefits in practice, in the recent past around 60,000 people a year have started an ESA claim and ended up in WRAG – so we would expect approximately that number to get less money over the coming year than they would otherwise have got. In the long run this is expected to save the government about £650 million per year, with around 500,000 recipients getting £1,400 a year less than they would otherwise have got, on average. 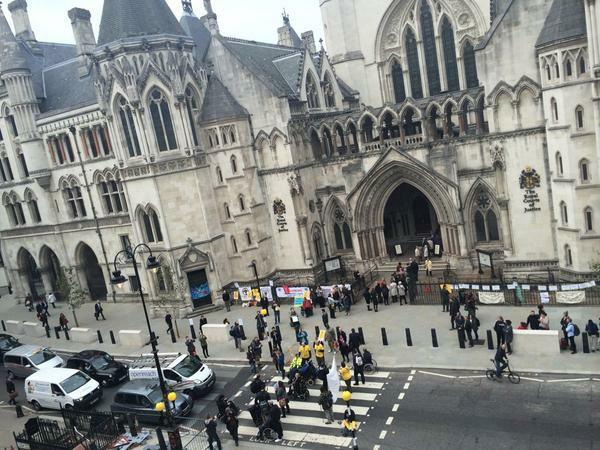 Legal Challenge Against Shared Spaces. 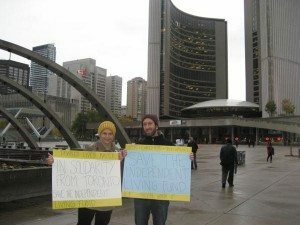 Has your Council taken out or turned off safe street crossings to create a so-called Shared Space? 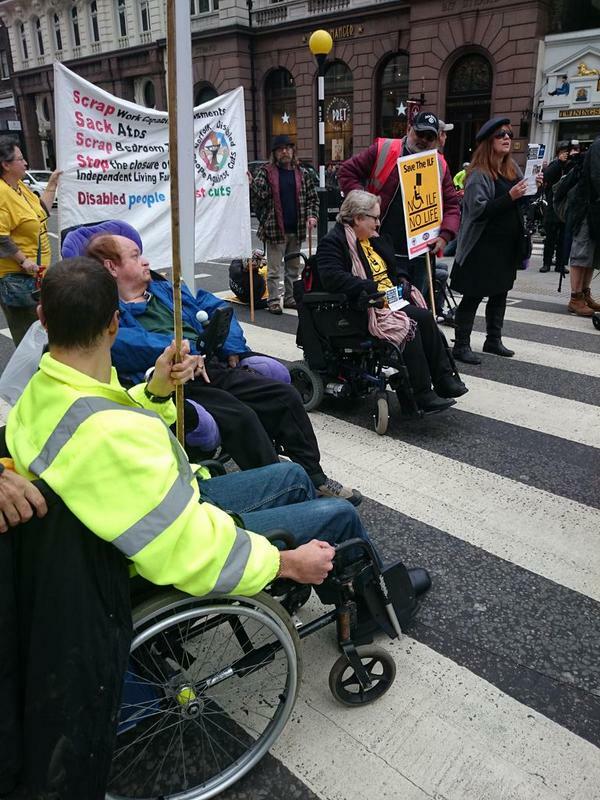 As these are desperately dangerous for people with any and all impairments, Unity Law are now taking action against 5 councils.Please consider joining the action if you have a Shared Space where you live. Unity Law will represent you at absolutely no cost to yourself and the more people and places they have on board the better. 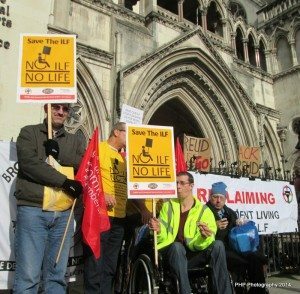 The Department of Work and Pensions has agreed to publish their guidance on the Access to Work Scheme (AtW) after receiving a letter before claim from the law firm Leigh Day. 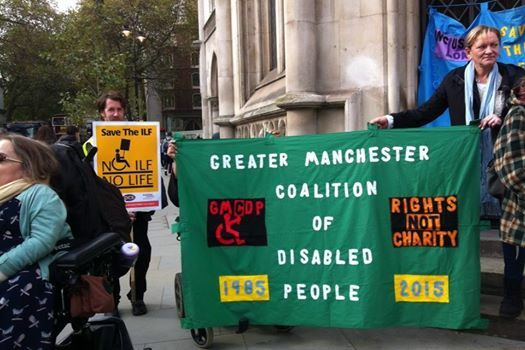 The DWP have also confirmed that revised guidance is being produced and published, which they hope to commence by 30 March 2015.Lawyers acting on behalf of the campaign group ‘Stop Changes to Access to Work’, highlighted in a letter before claim that the DWP had acted unlawfully in having no officially published guidance for the scheme, thus meaning that potential claimants did not know the criteria for eligibility or the rules that would be applied to their claims, claimants were also unaware when changes were made to the guidance and the nature of those changes. As you know, over 20 councils in Scotland discriminate against people under the age of 60 by allowing them to keep less money before charging them for social care. This can mean that young people are up to £50 a week worse off. We believe that this is illegal and we have secured the help of one of Scotland’s top Human Rights lawyers, Tony Kelly to help take this forward. 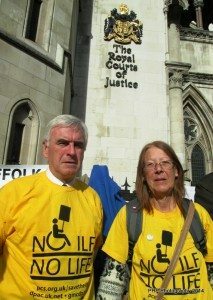 Tony will seek to prepare cases under the Equality Act 2010 for discrimination on the grounds of age. 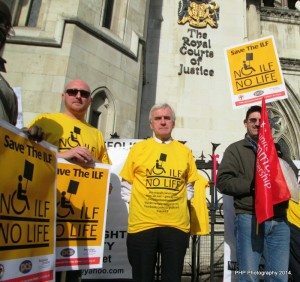 With the help of one of Scotland’s foremost advocates, Niall McCluskey who is preparing a legal opinion, we should have a really strong case. I am looking for some volunteers to come forward to be part of the first stage of a legal aid case to take on this challenge. 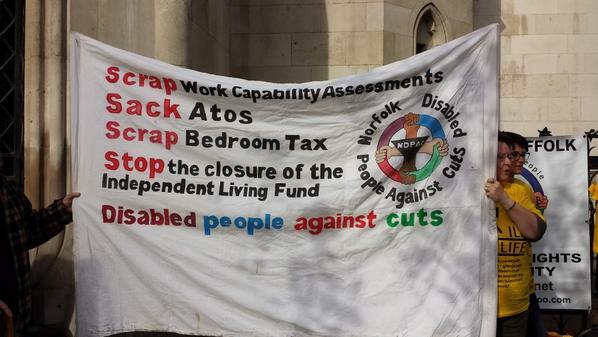 The volunteers need to be under 60/65 and pay care charges in one of the listed local authorities. They can be on Employment Support Allowance or have a restricted income in some other way up to a limit of £26,000 per year perhaps through a pension. 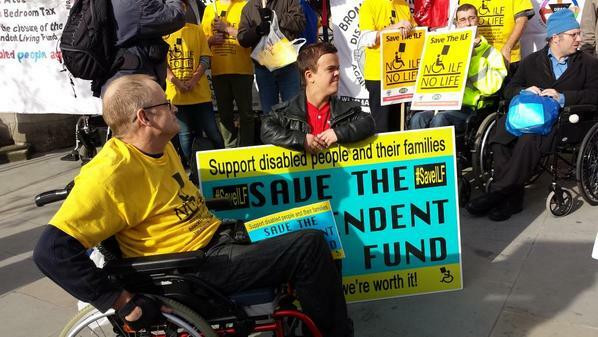 Volunteers should have less than £13,000 in savings. Volunteers may be subject to some publicity but we would like to have at least half a dozen people so the demands on any one person should not be too onerous. Guardians can do this on behalf of the person they care for. The local authorities we could pursue this in are below. Ideally we would like to group volunteers for the test case from 1 or 2 of these local authorities but will work with whoever comes forward. 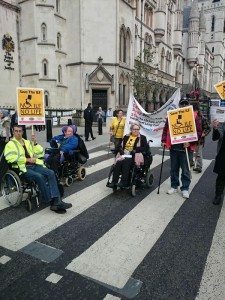 A legal case like this not only will bring justice to thousands of people who are illegally paying more than they have to but will help to undermine the whole system of care charging which relies on these illegal payments to justify itself and will force politicians to act or risk being seen to endorse illegal acts against disabled people. Please get in touch with me directly to talk about volunteering or encouraging anyone you know to volunteer. Please forward this message on to others who might be able to help. We, disabled people, family, friends, supporters and allies, are asking for your help. 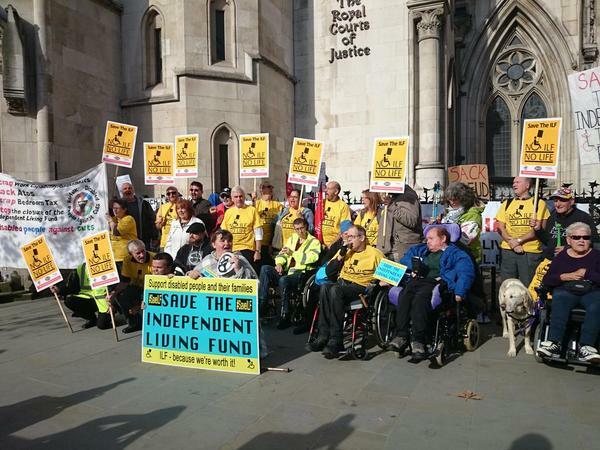 We are asking you to pledge to keep the Independent Living Fund open to existing applicants, pending a review of Independent Living for all disabled people. 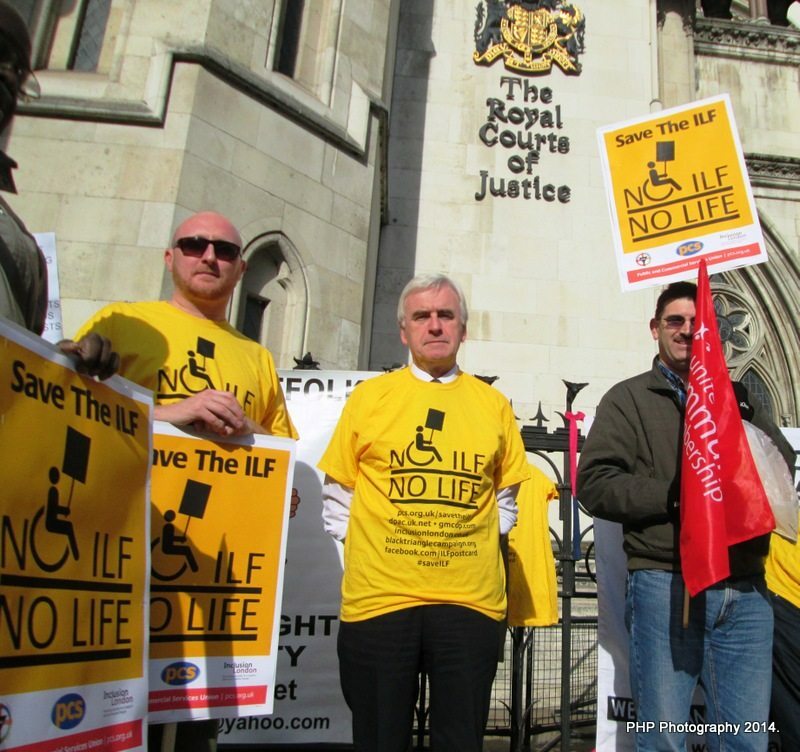 As you may know, on the 8th of December at the High Court, a ruling was given against our challenge to the closure of the ILF , and we were not given leave to appeal. The closure of the ILF effectively signals the end of the right to independent living for disabled people in the UK. 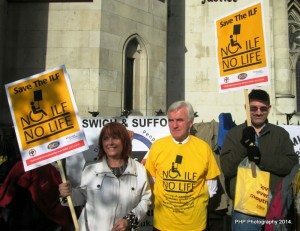 Whilst never perfect the ILF represents a model of support that has enabled thousands of disabled people to enjoy meaningfully lives and to contribute to society as equal citizens. 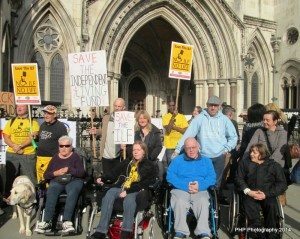 Since the closure of the Fund to new applicants in December 2010 we have seen disabled people left with their most basic needs unmet and unable to seek employment, to volunteer or go into education or simply even to leave the house. 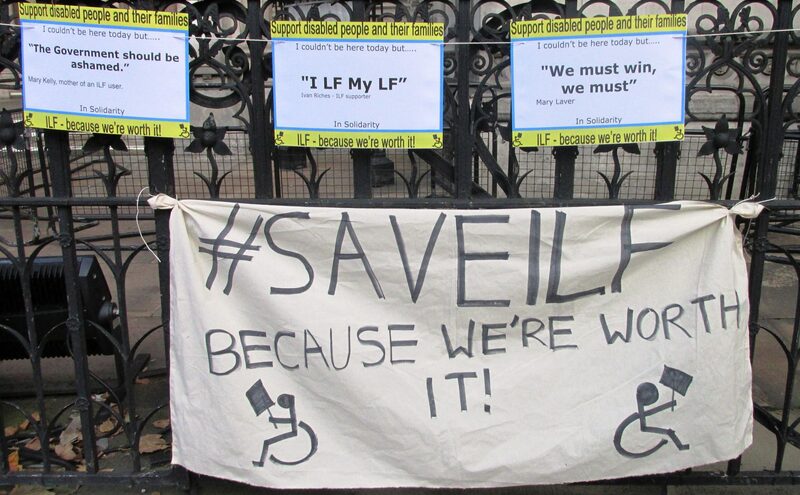 But we have vowed to fight on against the ILF closure, disabled people will not be pushed back into the margins of society, we will not go back into the institutions, our place is in the community alongside our family and friends and neighbours and we are fighting to stay. 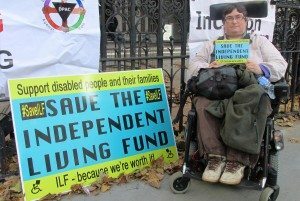 To severely disabled people the Independent Living Fund represents the difference between having an existence, and having a life. 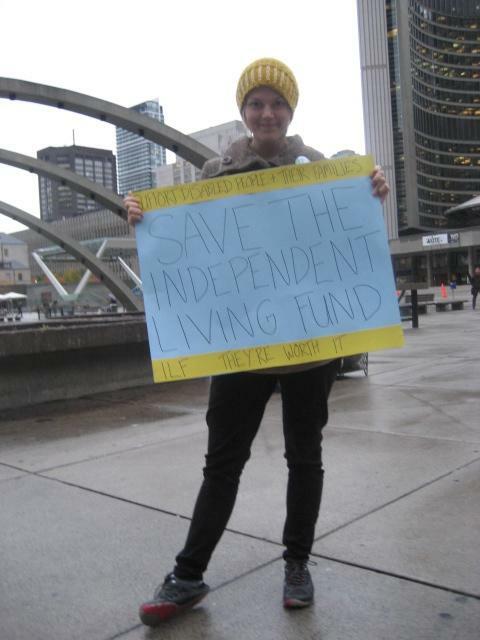 Please Ed, keep our Independent Living Fund open. Keep Our Lives Open. It means the world to us. Background: The Government won a case in the Royal Courts of Justice on Monday 8th December, which made their decision to close the ILF – Independent Living Fund – lawful; and this closure will now go ahead on 30th June next year. 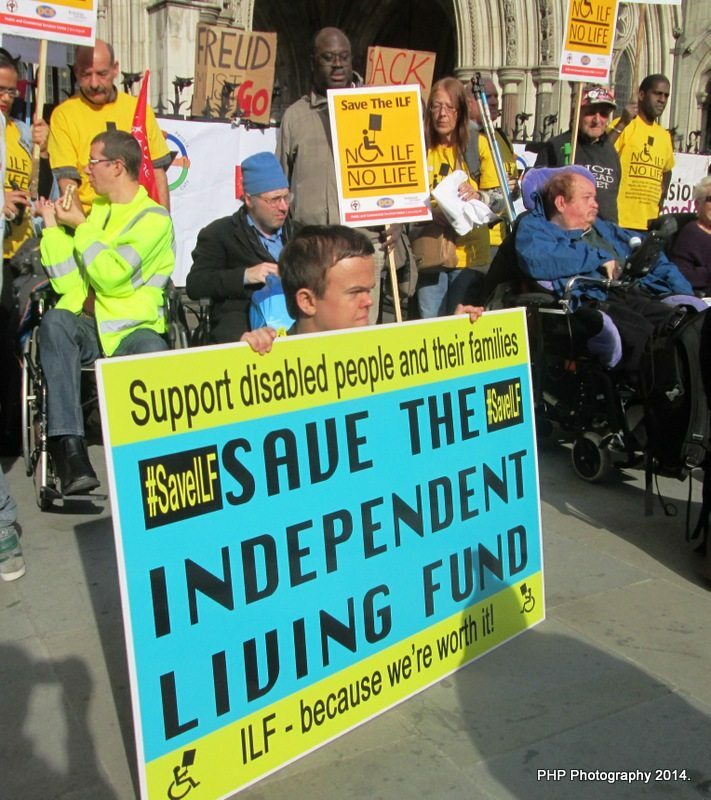 Unless, of course the families, friends, supporters and others stand in solidarity with ILF Users campaign to Save the ILF, and together apply the sort of political power which changes minds and policy. 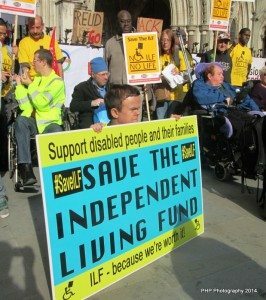 You can do that today by signing the Open Letter to Ed Miliband (full text below), asking him, that should he become Prime Minister in May’s General Election, to keep the Fund open while ordering an independent review into the benefits of a model such as the ILF. 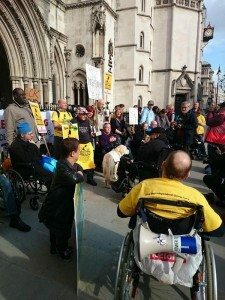 Government’s Legal Costs for Fighting against Disabled Peoples Equality? 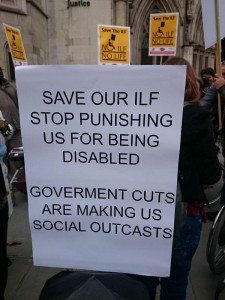 The Minister for Disabled People (Mr Mark Harper): The Government have robustly defended their policies in relation to the closure of the independent living fund and the removal of the spare room subsidy. The total known legal costs to date, in respect of both policies where disability formed part of the grounds of the claim, are £415,000: £236,000 for the ILF and £178,000 for the removal of the spare room subsidy. 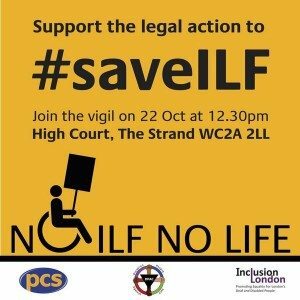 John Healey: That is a part answer to a very direct question about the cost to the taxpayers of Government lawyers defending the indefensible—axing the ILF and introducing the hated bedroom tax. Will the Minister not recognise that many severely disabled people flourish with the fund but are now frightened of losing their independence when he shuts it down next year? He might have won the legal case this year, but he has lost the moral and policy arguments, so even at this 11th hour will he rethink the protection available to ILF users? Mr Harper: No, I will not. 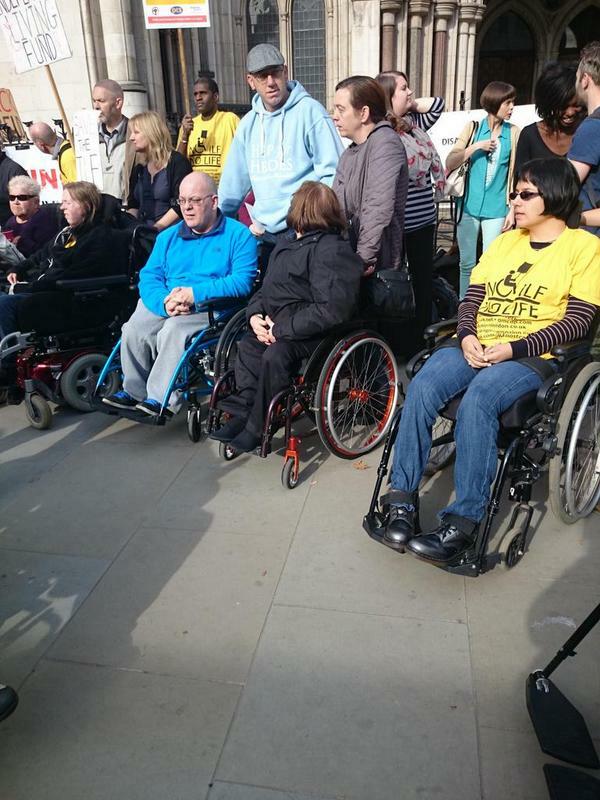 I have talked to disability organisations about this matter, and they agree with the Government. 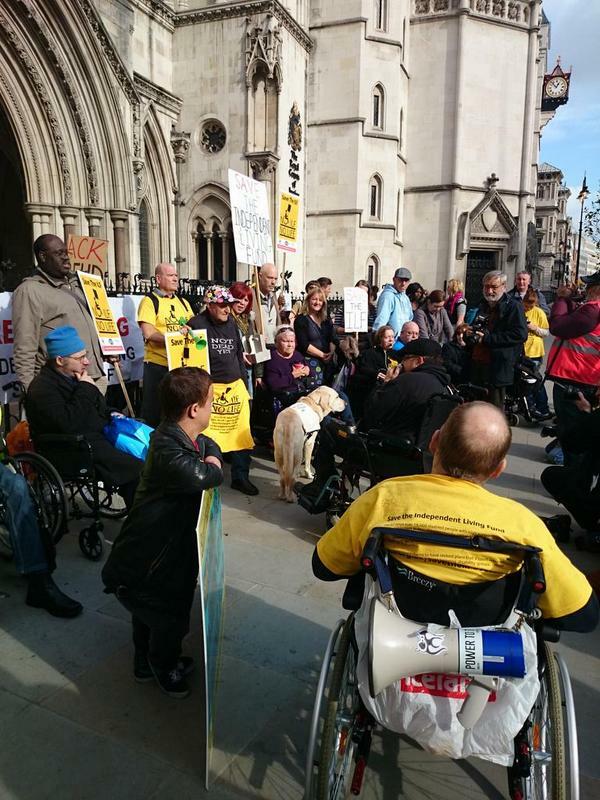 More than 1 million people get social care through the mainstream social care system. 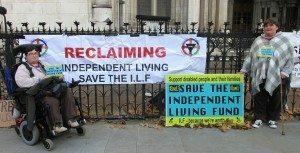 The Government are not making any savings by moving the ILF to local authorities and devolved Administrations, and we are working closely with each local authority to ensure that the amount of money being transferred at the point of closure next year will be exactly what is needed and what is being spent by the ILF, meaning that disabled people will be protected. Barbara Keeley (Worsley and Eccles South) (Lab): Some £4.3 billion has been taken out of adult social care budgets over the past four years because of the Government’s cuts. If that funding transfers across, as is planned, it will plug only a very small part of the gap. If they will not rethink this policy, as my right hon. Friend the Member for Wentworth and Dearne (John Healey) just suggested, will Ministers require that the funding be ring-fenced to ensure that 70 people in Salford and 18,000 people across the country with disabilities can look forward to keeping their independence and to this continuing support? Mr Harper: Of course local government has had to play its part in the savings, but local authorities can make choices. My local authority in Gloucestershire has protected the value of social care because it thinks that protecting older people—[Interruption.] No, my local authority has faced cuts, like all local authorities, but it has chosen to—[Interruption.] If Opposition Members want me to answer their hon. Friend’s question, they should stop yelling. 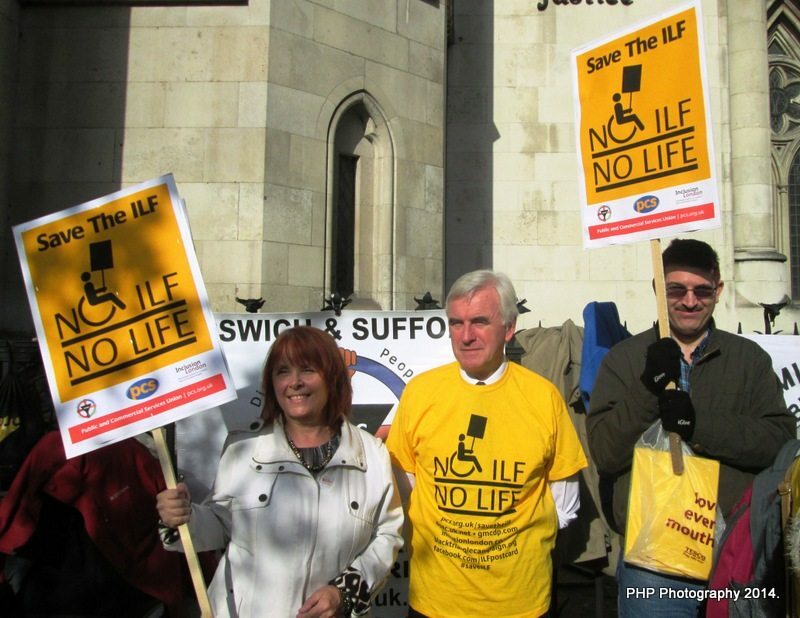 My local authority has prioritised funding for older people and people of working age. Clearly, the hon. Lady’s local authority has made different decisions. 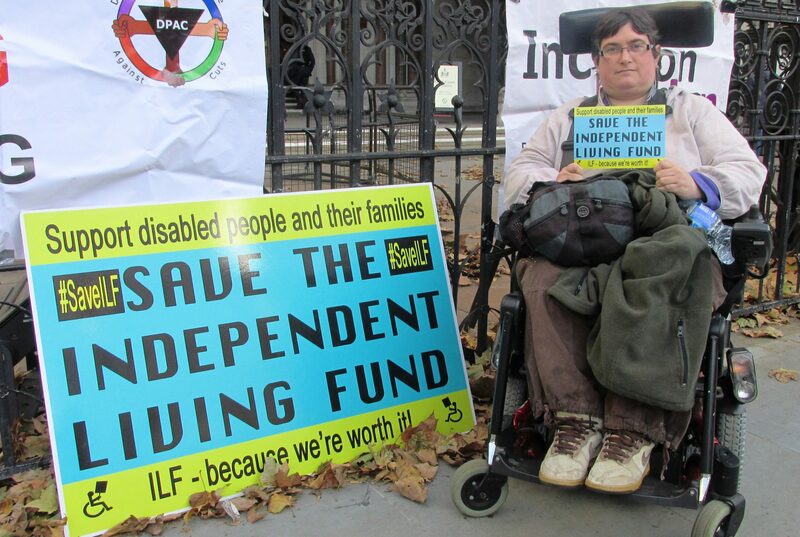 If those on her local authority want to ring-fence the money transferred from the ILF, they are absolutely free to do so, so I suggest she take that up with them. 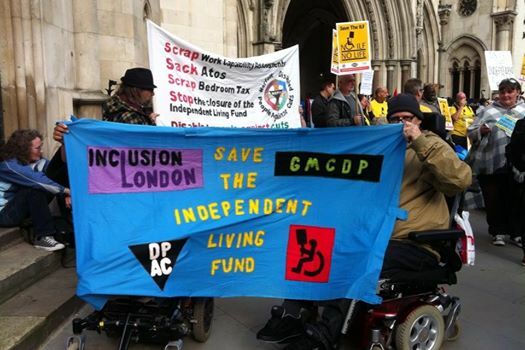 But other questions arise: which disability organisations did Harper speak to and why did they agree with the Government that closing ILF was a good thing for disabled people with high support needs and their employees? 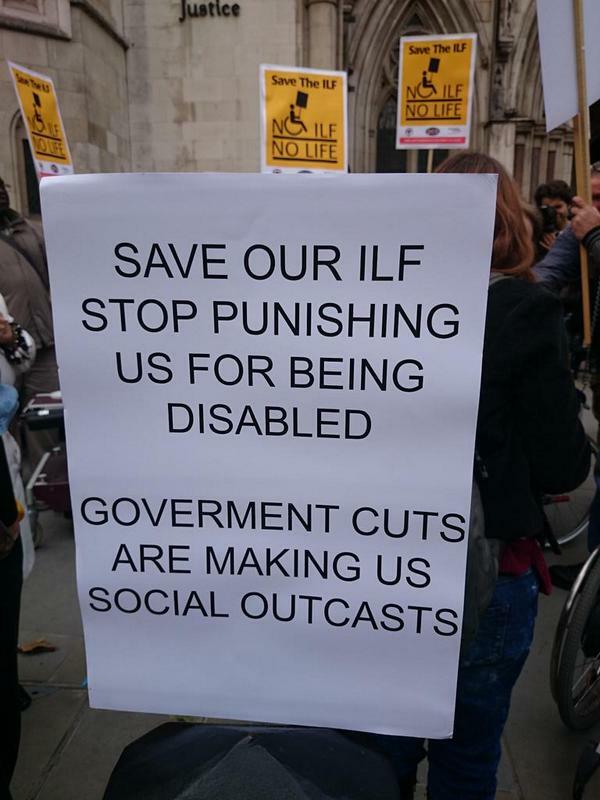 Did Harper speak to ILF users? 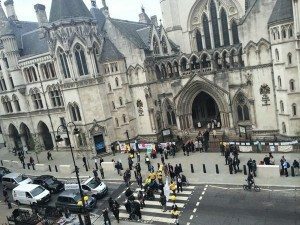 Were you at the Battle for Westminster and wanting to make a complaint against police treatment? They have guidance just read the section and you will see link. You can make individual complaints and also organisational complaints. 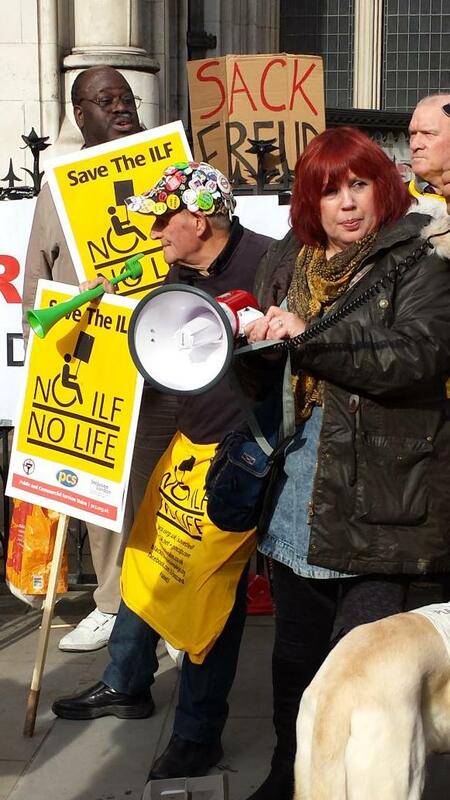 Those directly affected by the restriction of medication , food and drink should individually complain. It will take time for the complaints to be processed so I suggest people do this asap. If you need help making a complaint they can approach MP, Citizens Advice and some DPOs may assist too. Friday 4th July 3pm: LET THEM EAT CAKE? No to all sanctions! 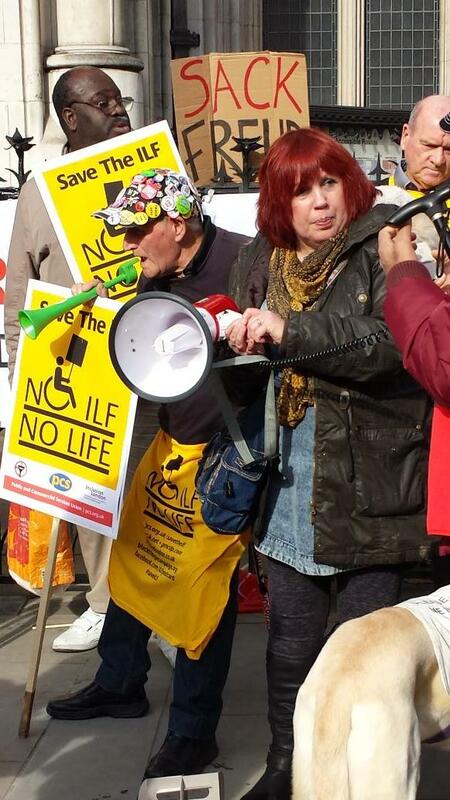 Fri 4th July, 3-5pm Peckham Jobcentre. The flyer that has been printed to hand out during the Vigil for the WCA Judicial Review at the High Court in London on the 8th of July has been reproduced below. 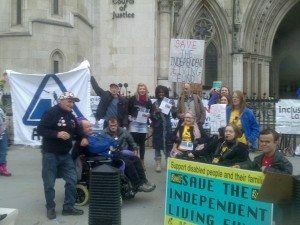 At the end are details of our call for people to support us by writing to Iain Duncan Smith to inform him that you are aware of the case and that you support the claimants’ fight for justice. WHY ARE WE HERE TODAY? 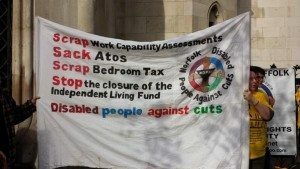 You may have heard of the tough new assessments for people claiming disability benefits; the truth is that these are mock assessments that the government are carrying out via Atos which ignore our disabilities and focus on whether we can walk 20 metres, push a button and sit in a chair. We are fighting to ensure that they conduct real assessments instead. DID YOU KNOW THAT THE GOVERNMENT DO NOT WANT TO ASSESS US ON THE BASIS OF MEDICAL EVIDENCE FROM OUR DOCTORS AND THE OTHER HEALTH CARE PROFESSIONALS WHO TREAT US? Why is this? It is because the assessments that we currently go through are specifically designed to deny us access to benefits and the DWP knows that if they had to look at our medical evidence, the majority of us would qualify for disability benefits. 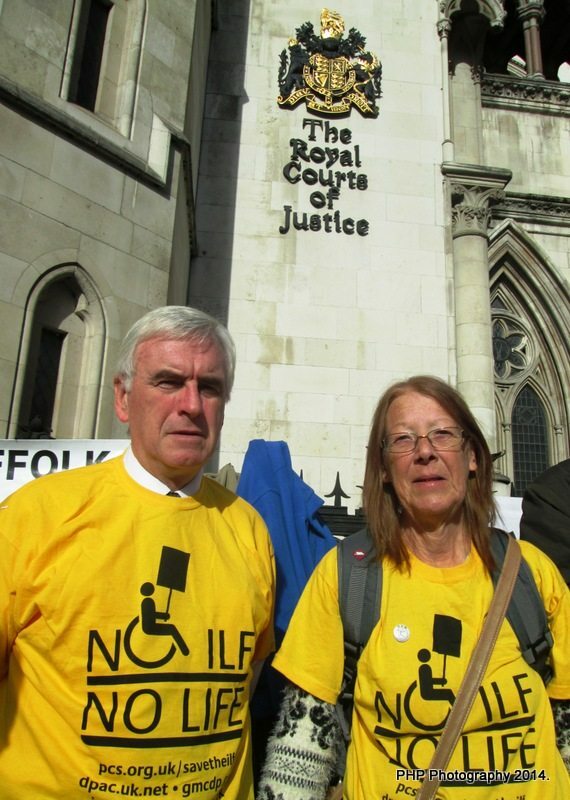 They have been fighting tooth and nail in court to be able to continue carrying out assessments that cause harm, in order to push through the ideologically driven policies of the coalition government, with the ultimate goal of abolishing the welfare state. 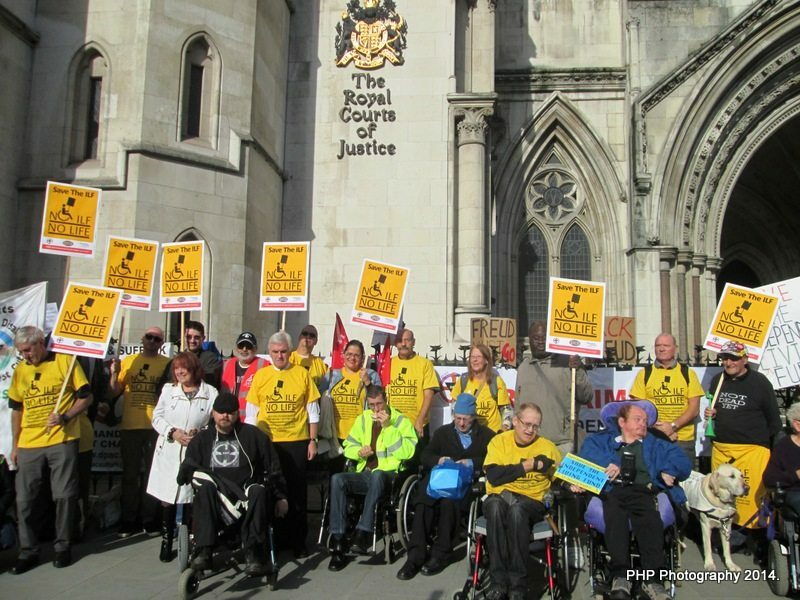 THE COURTS HAVE ALREADY FOUND THAT THE WORK CAPABILITY ASSESSMENT PLACES PEOPLE WITH MENTAL HEALTH PROBLEMS AT A SUBSTANTIAL DISADVANTAGE BY FAILING TO ENSURE THAT WE ARE ABLE TO SUBMIT FURTHER MEDICAL EVIDENCE TO SUPPORT OUR BENEFIT CLAIMS AND TO ACCURATELY REPORT HOW OUR CONDITION IMPACTS ON OUR DAILY LIVES AND OUR ABILITY TO WORK. It has been successfully argued in court that the DWP should make reasonable adjustments to the WCA process to make it fit for purpose, as is required of them by the Equalities Act of 2010. 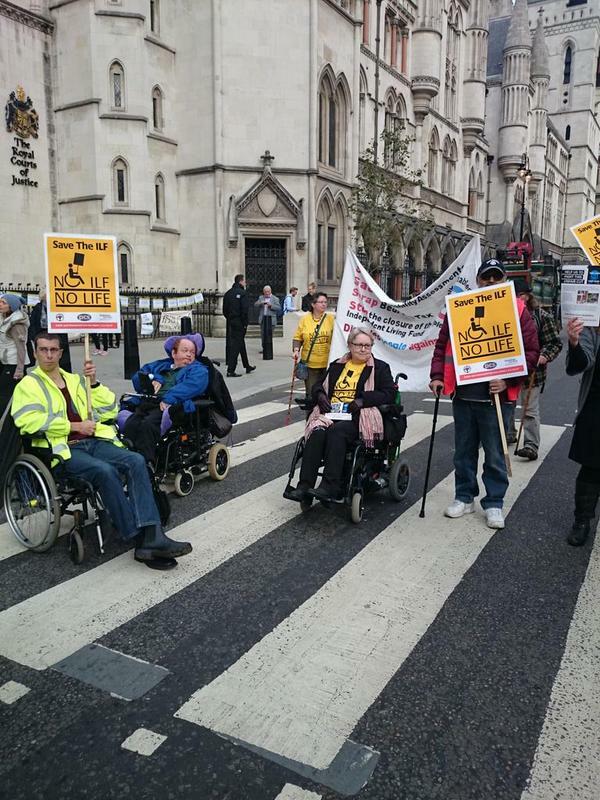 Today the court is hearing about what reasonable adjustments, if any, the DWP propose to make. 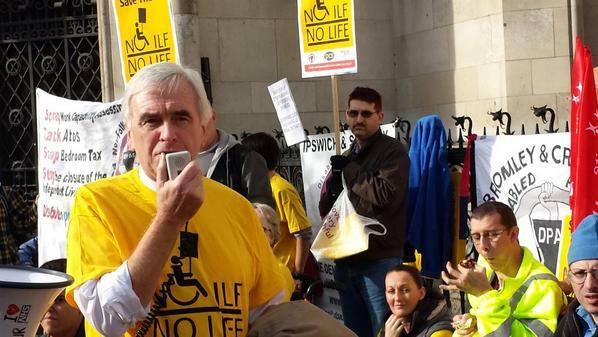 One would never imagine, by looking at the stories in our national media, the high levels of distress, anxiety and fear that the WCA process is causing to people who already live with mental distress. HOWEVER THERE IS CLEAR EVIDENCE THAT THERE HAS BEEN A SIGNIFICANT NUMBER OF SUICIDES BY CLAIMANTS GOING THROUGH THE WCA PROCESS. 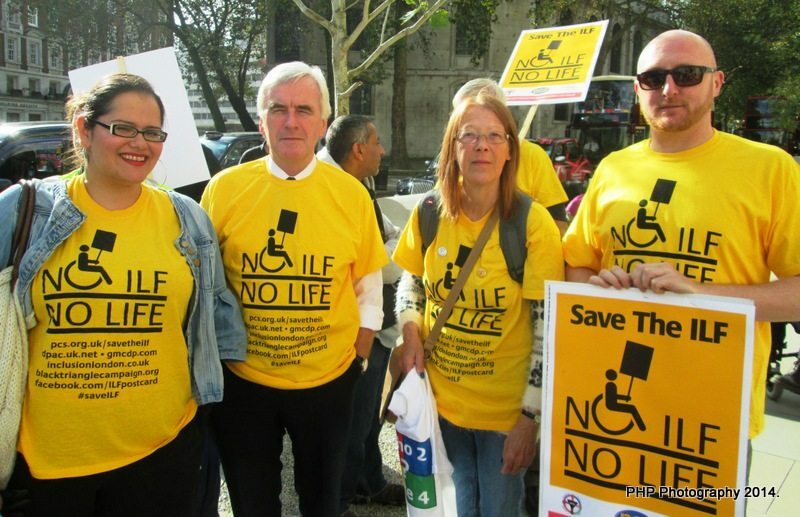 In addition, an overwhelming number of people have suffered a serious deterioration in their mental health requiring further NHS treatment, including hospital admissions, or have had to increase their medication as a result of having to go through this cruel and iniquitous process. 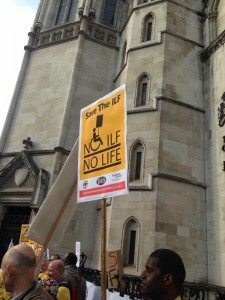 PLEASE SUPPORT OUR STRUGGLE FOR JUSTICE and ensure that the safety net which exists for all of us remains effective and firmly in place by writing to the Secretary of State for Work and Pensions, the Right Honourable Iain Duncan Smith, MP, to inform him that you are aware of the case and that you support the claimants’ fight for justice.